The Christmas Cat by Melody Carlson is a wonderful book! It’s the kind that makes you feel warm and fuzzy and just plain happy. 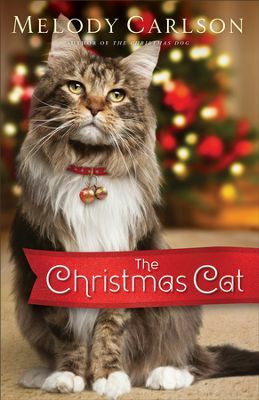 Melody Carlson is already a great author, and The Christmas Cat is no exception to her charming storytelling ability. When Garrison Brown returns from Uganda, he is greeted with sorrowful news. Given a mission by his grandmother, Garrison must return to his hometown and find homes for six grown cats. Not just any home will do though as all of the homes must meet the extensive rules for adoption. Along the way, Garrison discovers that mission work can happen stateside and that community is more important than security. He also discovers his once broken heart awakened by a beautiful woman, Cara. The Christmas Cat is a story of discovery, generosity and the importance of community. It’s a clean and delightful romance with a twist of holiday spirit. I received this book from the Book Club Network and Revell publishing in exchange for my honest opinion which I’ve provided here.